A Genie in a bottle. The first thoughts that come into play in my mind are Multiple System Atrophy patients, caregivers, families and myself. I personally felt, like a Genie in a bottle. One illness, five little words, one doctor’s appointment can change everything from that day on. Watching little changes become bigger changes isn’t fun. 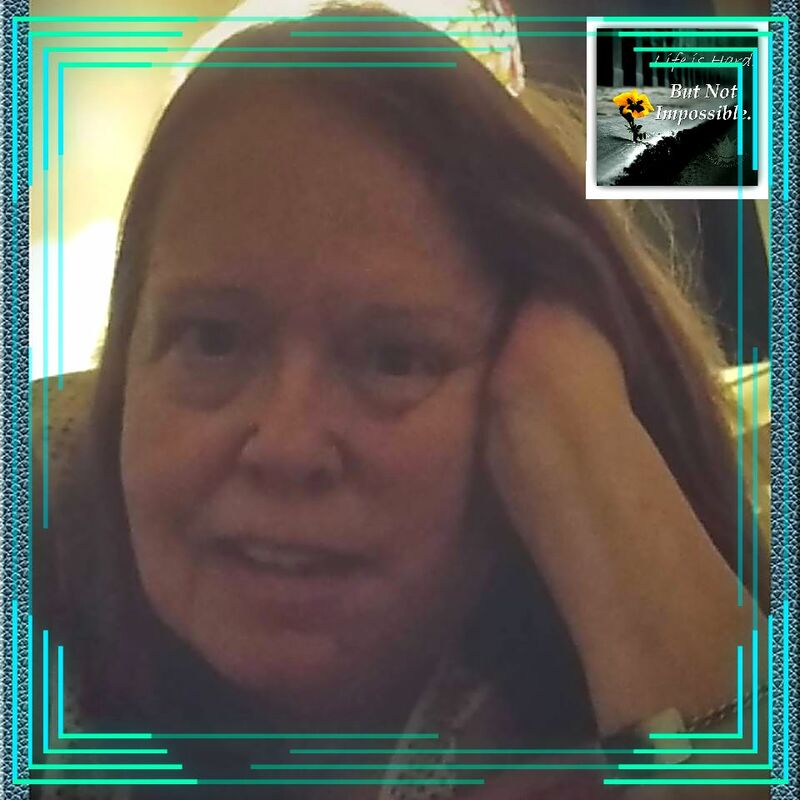 Helping with falls, recreating meal preparations, setting appointments with various doctors, rearranging rooms, taking out furniture to make room for new furniture, interviewing caregivers, looking at any programs that may help off set expenses. This is truly a Genie kind of life. Why do I say that? Simple, very few professionals have ever heard of this disease, which makes it difficult to get the help you need. There are improvements on literature, so your power becomes stronger with reading. Getting insurance companies to understand this is a disease that needs to be covered is a task within itself. I felt like the Genie in the bottle. I tried and tried, but the top of my bottle just wouldn’t pop off. What is the best thing you can do if you need help but can’t find any? Join Facebook groups for Multiple System Atrophy. There are several. This is one of the newest groups I created. A place to feel comfortable enough to speak your mind in private. This is one of my older groups where you come to visit, be inspired and meet other families and patients. This is a group for caregivers. It is an awesome group to find strength and answers in others who are going down the same path as you. This is a group formed to learn more about Multiple System Atrophy. This is a group that I love. I found so much support here while my brother was still living. My friends from this group are still my friends today. A wonderful place to congregate. As you know by now, my birthday is this coming Saturday. I need still two hundred dollars to meet my goal. I am requesting a $1- any amount from you, my friends to help me reach my goal of $500.00. Can you help? I wish this terrible, nasty, roller coaster ride of a disease on not even my worst enemy. Not only will it change your life forever; there will be times when you feel like that Genie in a Bottle. My brother has been gone for almost two years next March. My father and mother are gone. My half-sister and I have been apart from each other since dad died. I’m still here. I usually feel a sense of displacement. Sometimes I wish I didn’t have to live through these empty days . Some days I can’t seem to feel grounded. I’m tired. I have never felt needed like I did when I was caring for my father and brother . It was a special kind of being needed . It wasn’t like when your kids need you or your spouse wants extra attention . It was different ; hard to explain I guess. I’m labeled through my medical records as having depression . I always thought depression centered around sleeping , medications , maybe a little zombie like. I can pull smiles off. I can be with my friends. Put me in a room by myself, and thoughts of the family that once was, comes rushing back like flooding waters . I just can’t seem to snap out of this for good. I guess the doctor was right. I have mild depression . I want to work, but am too unsteady. I usually feel in the way or a bother, or the old person. I really don’t like feeling this way. If things get too rough , I will call my friend and let her walk me out of my sadness. That’s the name, sadness. I am so sad without my family. I have not been able to fill the void. My grandkids come closest to being a natural medicine for me. I listen to them talk and giggle and I can feel my smiles come once again . Alvin is at peace now. He has no more pain. He is free from the clutches of MSA. My dad is free from his bone cancer and Leukemia. I had no idea my healing would take so long. I want to go back to the person I was, but I don’t know if or when that will ever happen. Right now I am looking for small things that bring me peace. I smile when I see the frost make the ground look snow covered . I look at my silver Christmas tree and get lost in the memories of when I was a little kid, and watched the colored wheel cast lights on grandma’s tree. I think about what it was like being a young mommie. I look at me now and ponder on what’s next . For me, it was more than losing my brother to an ugly disease . It was an uninvited , forever change in my life, which I am still trying to heal from. I have stated many times in the past few years that my brother died from Multiple System Atrophy. It wasn’t only my brother who passed away. There are many others. I haven’t figured it out exact; but I would say an average of every 1-2 weeks, someone I have chatted with, either a family member, caregiver or friend, has passed a way. I am heartbroken each and every time I read of another MSA angel. 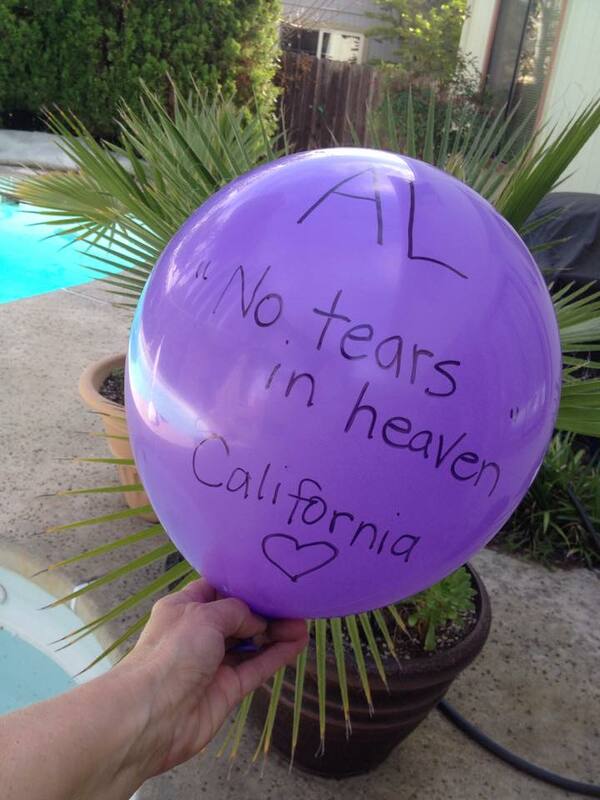 It brings sadness to my heart, rushing back the loss of Al, my brother. He passed away 3/24/2014. I can’t believe it has been more than a year and a half; because as of this moment, I can still shed tears quite easily. The reason for this particular post is to ask you to give up $2.00, or $5.00 or any amount you can give up. Send it to the link below. Help us to find a cure before another loved one is lost. If you have not heard of MSA, please don’t feel embarrassed. This is why there is not enough funding and this is why there is still no cure. Work is being done daily with fund-raisers, donations. Word is getting out; but we need everyone’s help. Read the link below and tell your friends, family, and co-workers, neighbors; tell everyone and ask them to give up one thing for the week and make a donation to MSA. The link below is a video I made of my brother. He was once healthy, just like your spouse, child, family member or friend. Now he is gone. I miss him. He has left a large void in my life, that no one or anything has been able to fill. Please watch and make a donation. 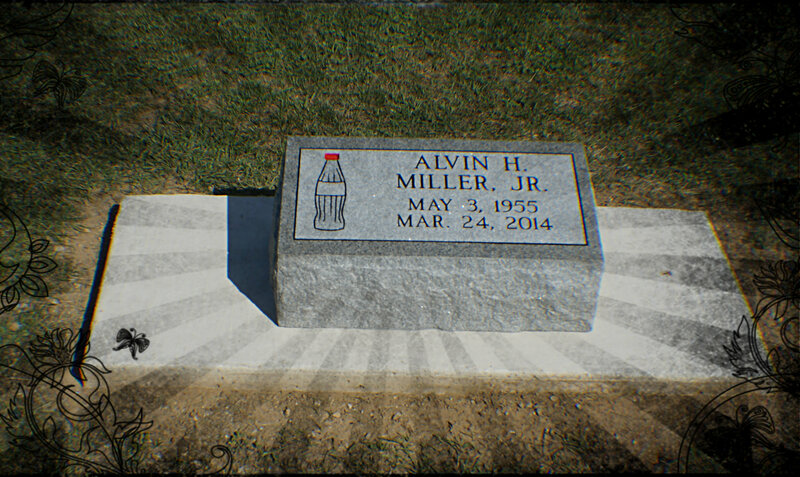 If you want, make a donation in Alvin Miller’s name. Back in the day, in fact, I remember it clearly; March, 2011. I was caring for my brother. I thought our lives were so extinct compared to others around us. I thought Al, my brother had it just terrible. 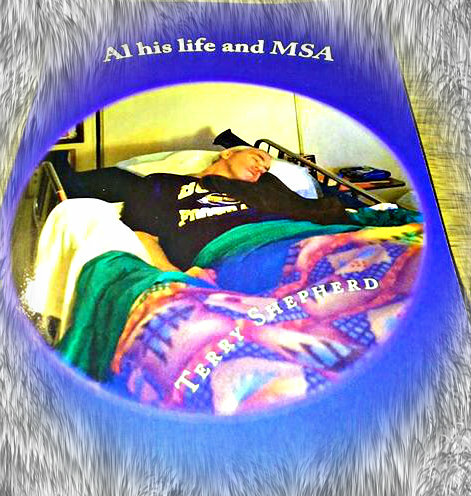 The news of realizing he had Multiple System Atrophy, (MSA) devastated me more than it did Al, with his mental disability, I am not positive that he understood his fate in life as well as I did. I had begun to pray daily, sometimes several times a day. I prayed out of guilt. The fact, that Al could no longer work nor drive, had forced me to give up my paying job and begin the roller coaster ride for the next three years of taking care of him. Little did I know that the day God answered my prayer about getting a job that pays, was truly a job that paid much more than any President could ever acquire. Lessons on patience, giving and not expecting anything in return, learning about the routine and how it can and will be broken, are huge lessons that pay more than life itself. I took care of Al and God’s answered prayer to begin writing was a beginning of a new life for someone in her fifties. I discovered the talent that God gifted me with when I learned I could write heart-felt, short stories that others connected with. I learned I could write poetry. I opened up new doors and began speaking to anyone who would listen to me about MSA. 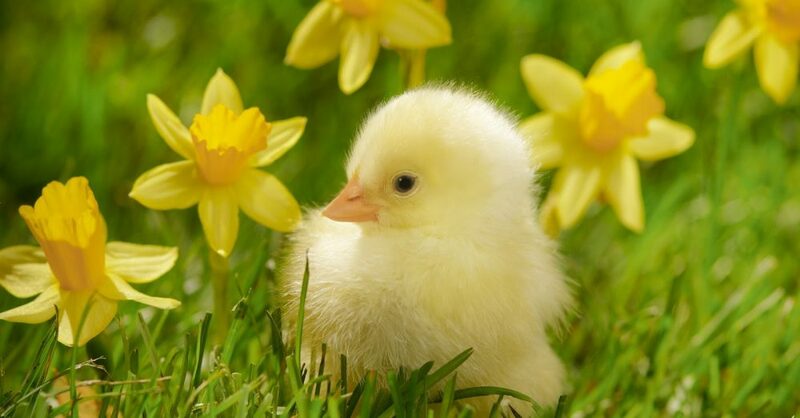 My heart opened so wide I began to receive the true message of what love really is. Love is not really about being with that special mate, or the giddiness we feel when our better half looks at us in that special way. Love is giving of ourselves. Without harming our spirit, we grow, we prosper by listening with our souls to those who are in need of the human voice or touch. I didn’t know what blogging was. I didn’t believe that little old me had anything worthy to say that could affect another human life until one day I received a comment from another blogger. I don’t remember the exact words. I do know that in a lot of my blogs I write about God and humanity; and this had been one of those blogging post. This particular blogger had told me that in that precise second he read my post, I had saved his life. I felt overwhelmed. I didn’t think I had that kind of effect on anyone. He told me that he was getting ready in the next few minutes to commit suicide by taking an over dose of pills. Something he had read in my post had triggered a tenderness that made him realize that he was worth living. I am not God by any means; but I do believe that God answered my prayer. He used me as his tool to help others who are in pain. He helped me to spread the word of God through a blank screen in my own living room. He taught me that money is good, but the word of God, the understanding and empathy for others is much more valuable. Today, I still struggle. I still have to have talks with God constantly. I have problems like the rest of us. I have teeth issues that are in need of hundreds of dollars with no dental insurance. I have gait and tremors that are preventing me of finding a paying job that I can do. I don’t want to worry; but I find myself doing it anyways because I am not perfect, and God knows what is going to happen, and he is going to take care of me exactly at the right moment. Something or someone will happen in my life, and I will not end up on the homeless list, nor will I ever see my refrigerator totally bare. Today, once again I was taught another lesson. I had to go back and remember why did God have me begin writing? What had I learned by caring for Al ? What had I learned from those seven years of his illness? When I worry too much God will show me very clearly that although I can’t see my future, I am very blessed. The lessons he shows me are so clear, I can never doubt that it comes from God. There is a blogger out here in the world that I don’t hear from too often. He is sick like my brother was. I have come to the realization that he is an angel being sent by God to make me remember how powerful and loving God is. I read the comment and once again, hearing from him, ripped at my seams. Opened the flood gates of tears, making me realize how fortunate I am. I am so rich in life. God has given me every tool he has to help me become the person he wants me to be. It is up to me, whether I use those tools or not; but how can I not pay attention when the angel, a dear friend, who suffers from the devil’s disease as Al did, writes to me. This is what I saw, this is what he wrote, and this is how I know that writing is what I am supposed to continue to do. We can’t go wrong when we follow the lead of our heavenly father. I know there are those who don’t believe, and there are those who question. This post is not to try to convince you. I guess you could call this My Testimony. Here are his words. I want to add to his words, I love you Michael, from one friend to another. In faith we will walk this path together. You are not alone. God is right beside you. My spirit is there with you. You are a warrior my friend. The turning of a wheel. Just like a flashy fishing lure. When the clouds were all that shone. The last thing anyone wants to hear in their life is they are sick. Worse than that is hearing the simple; but complicated word, terminal. People go through good and bad times in life but manage to pull out of it and move on. When a person hears their life will not get better, the roller coaster ride begins. Fear is the first feeling people have in common. Anger comes next. Thoughts may include why me or what did I do to deserve this? Tears will follow with some screaming at God to help them. Once the words of the illness sink into the brain, a new change appears. Patients want to fix the problem. Many will talk to their family and friends. Tracking down doctors and getting second opinions. Suddenly we are thrown into dealing with the physical part of the illness, the full-time job, doctors visits. Patients constantly discuss with loved ones options they are offered. Together a plan is set in motion and the patient sets these goals as a high priority. 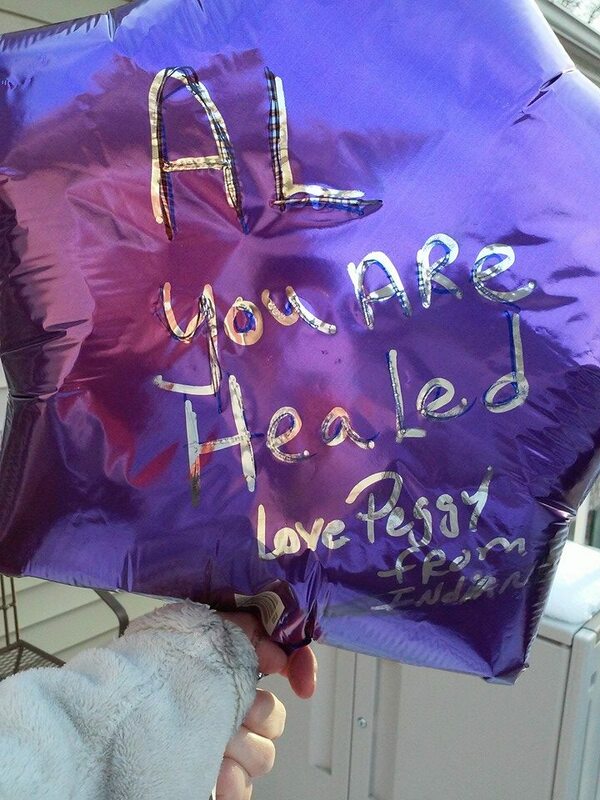 Although they have heard there is no cure, most patients do not give up hope. Some may turn to their God. They may return to church or start reading their Bible. As the time passes, patients go through various mood changes. Patients can become depressed as they see their independence slipping away. It is important to have everything right in their lives; just in case their hope is taken away and the battle was lost. Do you have a story that you remember too well? Would you like to share with me?